Portland wine bars are enjoying their finest stretch to date. Just last month, we reported on the openings of both Canard and Enoteca Nostrana. This month ushers in a new pair to the pile — OK Omens and Bar Norman. The former shares a wall with outstanding Rose City restaurant Castagna and officially opened June 11. The space, previosuly Bar Castagna, was revamped in under a month, taking on a brightened atmosphere that serves as an ideal backdrop for wine director Brent Braun’s exploratory nature. The latter, Bar Norman, is the latest venture from resident natural wino, Dana Frank. After leading the wine program at Ava Gene’s and starting her own beloved bar, Dame, Frank is at work on what she describes as her most personal project yet. Bar Norman is slated to open just after the Fourth of July. Braun and his team were also inspired to tear down the invisible barrier so many see as existing between one of the city’s most prized and expensive restaurants. Chef Justin Woodward’s creations are among the most revered in the region but also often held in such high regard they’re unreachable. The extended pairing menu at Castagna, while dazzling, is far from affordable. 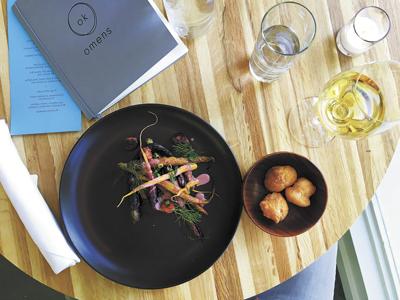 Braun says OK Omens will serve as a gateway of sorts to Woodward’s outstanding cuisine and his own creative wine selections. “Castagna is more playful than people think,” Braun adds. “At OK Omens, we are going for delicious but not precious.” The wine menu currently features about 20 glass pours, ranging from a delightfully funky Chenin Blanc from the Loire, to Pinot Noir from minimalistic Oregon label Loop de Loop. Also available by the glass is a 1984 Riesling, one of Braun’s most cherished varieties, from German producer Peter Lauer. By the bottle, there are more than 100 options, including a 1985 Cameron Pinot Noir almost certainly gone by now. 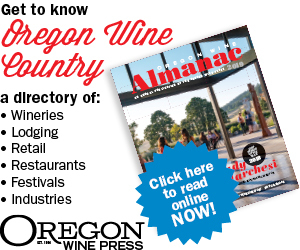 The focus is natural wines from all over the globe, including Burgundy, Spain, Italy, the Côtes du Marmandais, California, Alsace and, of course, several regions of Germany. The food, while more limited, offers a nice glimpse into the crafty mind of chef Woodward. Nibbles like the beignets with Tillamook cheddar and honey powder feel inventive yet instinctively satisfying, especially in a bar setting. The roasted carrots with black garlic and hoisin were great — the earthy aspect of the carrots going toe-to-toe with hoisin’s sweet vinegary kick. There’s also a good-looking burger, grilled pork and a bevy of lighter, produce-based offerings. A few desserts, like cake of the day and frozen nectarine, butterscotch and shortbread could sweeten any tooth. “It’s good food that’s not going to crush your gut,” adds Braun. 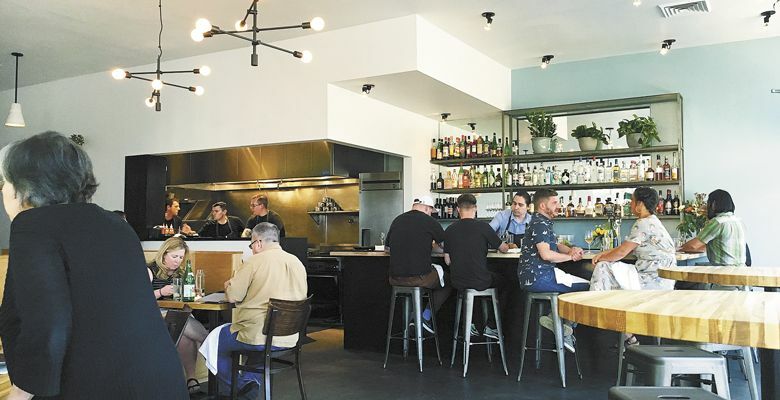 With 50 seats, including the bar and forthcoming outdoor seating, OK Omens is accessible and perfectly situated on the edge of historic Ladd’s Addition. Frank’s Bar Norman is located just a few blocks away, at the bustling Portland junction of 26th and Clinton. Named after her grandfather, the establishment will focus on natural wines in a casual setting almost certainly stressing good music. Frank most recently ran Natty by Nature, a pop-up bar devoted to natural wine and what she describes as the golden era of hip-hop. She helped command the West Coast’s thirst for natural wines, introducing them to curious imbibers several years back, before the genre exploded. Bar Norman is expected to open in early July, a relatively intimate establishment with about 30 seats. She estimates some 25 glass pours will be available and the space will routinely host classes, dinners and tastings. Her shop will strike a balance between new and esteemed producers, plus the old guard of the natural wine scene. Somewhat of a shop as well, Bar Norman will stock bottles to go. Frank opted for a Kickstarter campaign to help launch the bar. When this story went to print, she had surpassed the $25,000 mark toward her $35,000 goal. Her extensive wine background will inject added experience to a still surging Portland wine bar scene. Many believe it’s the golden era for gluttony in the Willamette Valley. The fact that so many gifted wine minds are showcasing their stuff through their own start-ups and operations further this claim. Drink up.